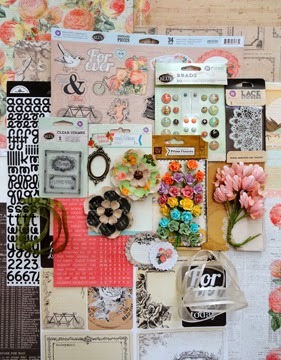 Scrappy Palace: March LE Kit Share-Prima!!! This month we got to play with some new Prima!!! (Something Blue Collection!) Sunch a beautiful kit! I just loved playing with this kit! Here a picture and details of what you get in the kit.. Here is what I did using this kit..
Trust me you will love this kit! Go check it out at My Creative Scrapbook!